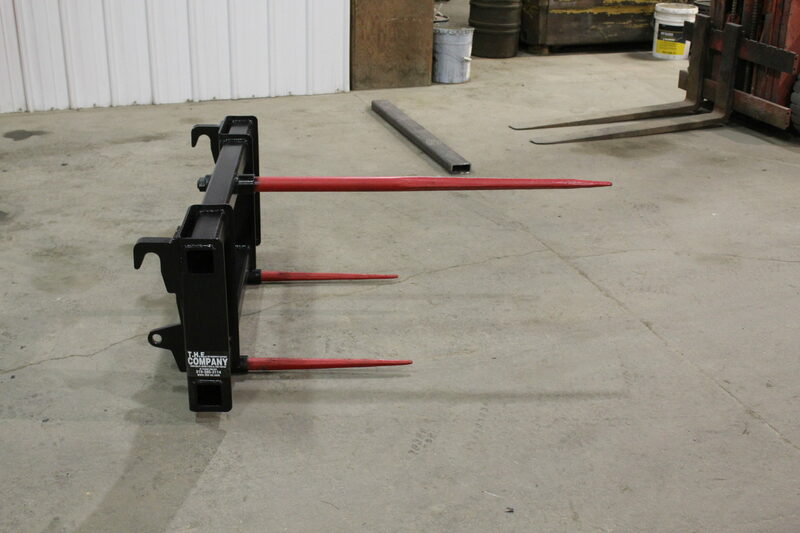 Bale spears for your three point hitch. Quick hitch compatible, accommodates Cat 1 or Cat 2 width. Heavy 1/4″ square tubing and drop forged spear and stabilizers. These spears are built to order so please allow 5-10 business days for manufacturing time. Prices starting at $229. Contact Jess for your custom quote today!